As you know, we are continually measuring, tweaking and improving the performance of brainCloud. The good news is that the latest round of platform optimizations had a greater impact than expected – meaning we can handle even more users on our servers at lower cost. The even better news is this means, effective immediately, we’re adjusting our pricing tiers downward. This is part of our ongoing pledge to align brainCloud pricing with our costs, to ensure we’re offering you the most cost-effective solution possible. While delivering the good news, we thought we’d spend a moment to provide a bit more background on brainCloud’s pricing model. brainCloud pricing is based on API Usage – which is the number of API calls (requests + responses) that your app makes to our servers. Of course, it does have the disadvantage that unlike DAU (Daily Active Users) or MAU (Monthy Active Users), API Usage is not a term that most developers and business people are used to talking in terms of. Reporting API usage after-the-fact is straight forward; Estimating API usage ahead-of-time is tricky. it would total 15M API calls per month, which would cost $150 USD. The API Usage per DAU in brainCloud varies by app – but averages ~100 API Calls per DAU. Designed for mobile (less chatty) – Our API is optimized for mobile, and from the beginning has been designed to do more with fewer interactions. We support lower usage scenarios – Clients are free to use as much or as little of brainCloud. Want to use brainCloud for cloud saves only? No problem. brainCloud monetization features only? Go nuts – and pay less because you’re utilizing our servers less! In practice, we’ve had apps in our network use less than 10 transactions per DAU, and some use upwards of 200 API calls per DAU. We’ve not yet had an app average greater than 300 API calls per DAU. And note, brainCloud includes tools to help you assess and optimize your API Usage – to keep your costs (and our server usage) down. Our costs go down, and your costs go down – win:win! We hope this clears up any questions you may have about pricing in brainCloud. 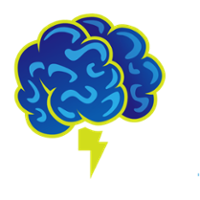 As always, brainCloud is free during development (up to 100 users), and if you sign up before March 6th, 2015, you lock in our special Early Adopter pricing until 2016!